On Tuesday May 15th, the Streaming Media East show kicks off in NYC with tons of speakers, how-to sessions, exhibitors and the broadband device pavilion. 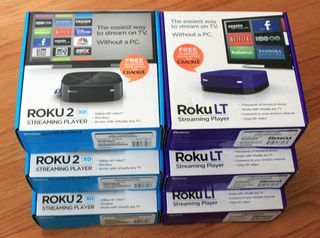 And thanks to Roku, we've also got some Roku LT and Roku 2 XD players to give away. Simply register online for a free exhibits pass and stop by the broadband device pavilion where we will be raffling off these and other devices during the two days of the show.